The Boston personal injury lawyers and staff at the Law Offices of Jeffrey S. Glassman wish each of you a safe and enjoyable Super Bowl weekend. While it won’t be as hectic as it would if the Patriots were playing, the year’s biggest football weekend brings an increased risk of drunk driving accidents. A substantial number of Boston car accidents are caused each year by drunk drivers. The National Highway Traffic Safety Administration reports 151 of the state’s 363 accidents involved alcohol in 2009. Mothers Against Drunk Driving is encouraging party hosts to be prepared. -Plan Activities, which can reduce the consumption of alcohol. -Avoid Mixers: They can cause alcohol to be absorbed more quickly and may cause people to drink more. -Avoid too many salty snacks, which can prompt people to drink more. -Offer plenty of non-alcoholic beverages. -Never serve alcohol to anyone under the age of 21. 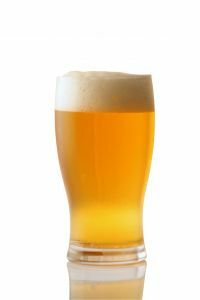 -Be proactive: If a guest has had too much to drink, make sure they have a safe way home or invite them to sleep over. If you have been injured in a drunk driving accident in Boston, contact Massachusetts Injury Attorney Jeffrey S. Glassman for a free and confidential appointment to discuss your rights. Call 877-617-5333.